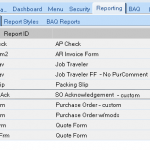 “So,” you ask, “How can I export a Report Data Definition?” Epicor has provided the Solution Manager to perform this task and more. 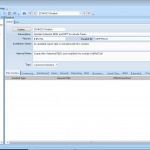 The Solution Manager provides a robust way to export and import just about any modification. Furthermore, the Solution Manager gets useful when you have multiple modifications that must be promoted together as a single “solution” — hence, Solution Manager. 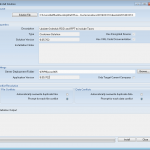 The Solution Manager can be found under the “System Management >> Utilities” menu. 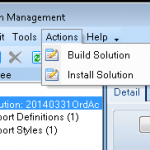 To export a solution, run the Solution Manager and create a new Solution. Since solutions are generally used only once, we use the date and short description for the solution name, and then give an overview of the changes in the description. 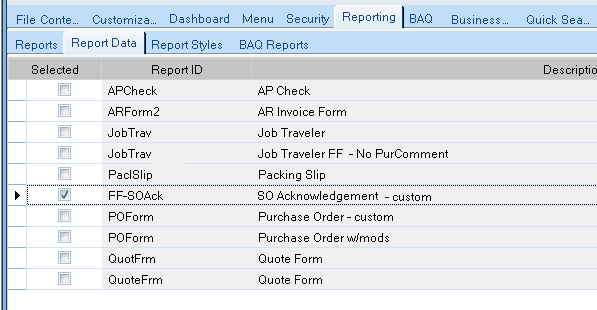 Epicor also provides extended description fields so you can give details about exactly what was changed. Once the solution is created, select which modifications to include in your solution. In our case, we are going to select one Report Data Definition, and one Report Style. 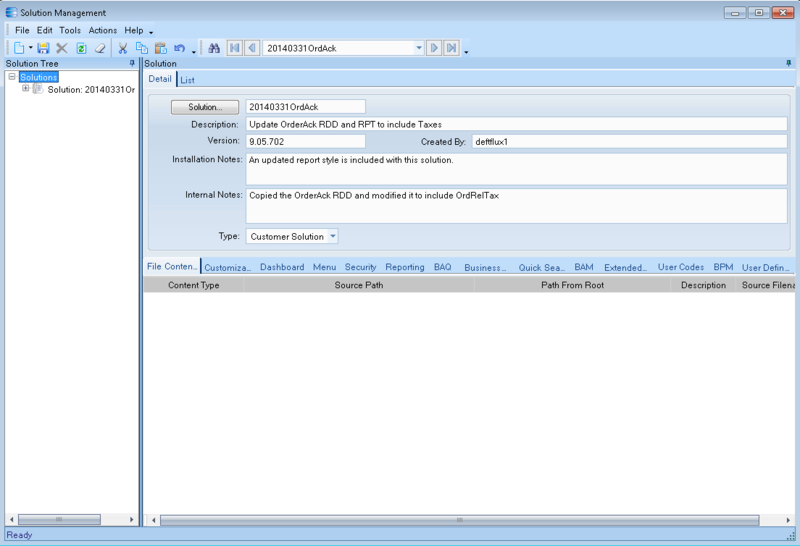 If your TEST and LIVE environments are on separate application servers, you can also select files to be included and unpacked with the solutions. 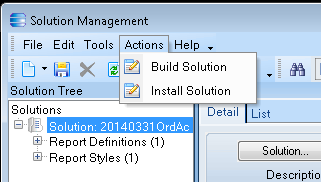 Export your solution by running the “Actions >> Build Solution” menu, selecting “Prompt for CAB File Location,” and clicking “Build.” Save the CAB file to your preferred location. 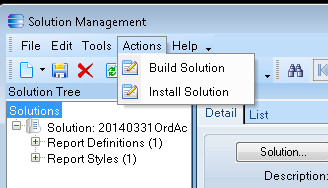 To import the solution into your LIVE environment, open the Solution Manager, and run the “Actions >> Install Solution” menu. 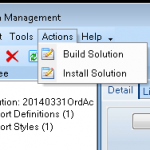 Select your CAB file using the “Solution File” button, and then click “Install.” The installer will prompt you if you need to overwrite any existing modifications. 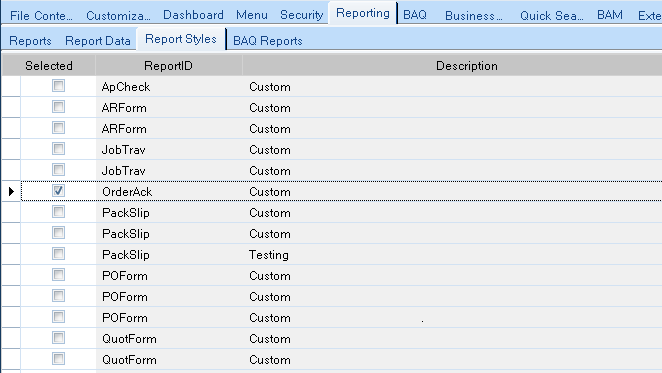 Your updated Report Data Definition and Report Style are ready to go in LIVE! 1. 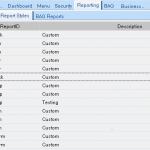 With Report Data Definitions, it is important to verify that they were imported properly. 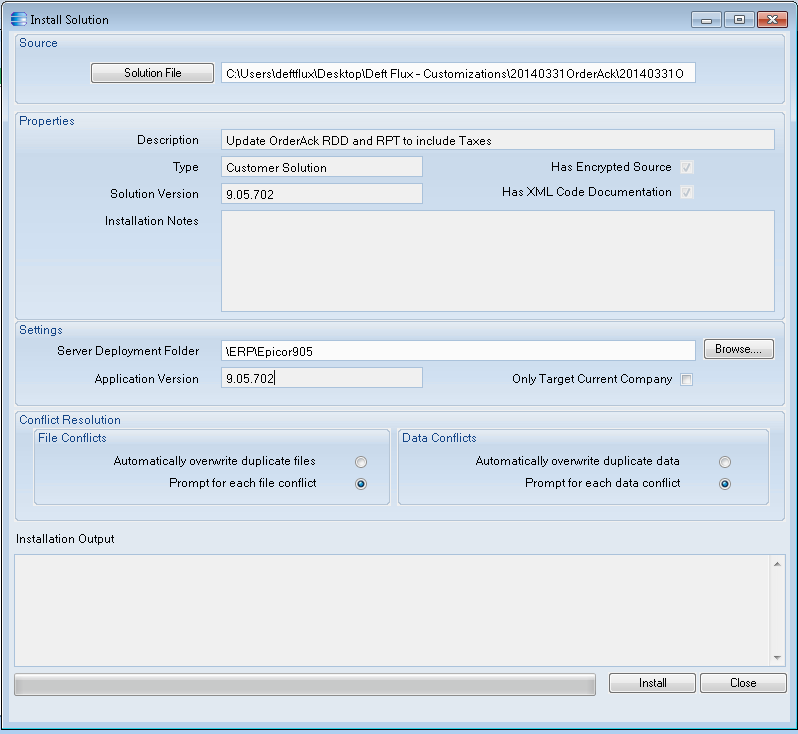 Auto-print rules sometimes do not install correctly and you will want to verify your table criteria, if you have any. 2. 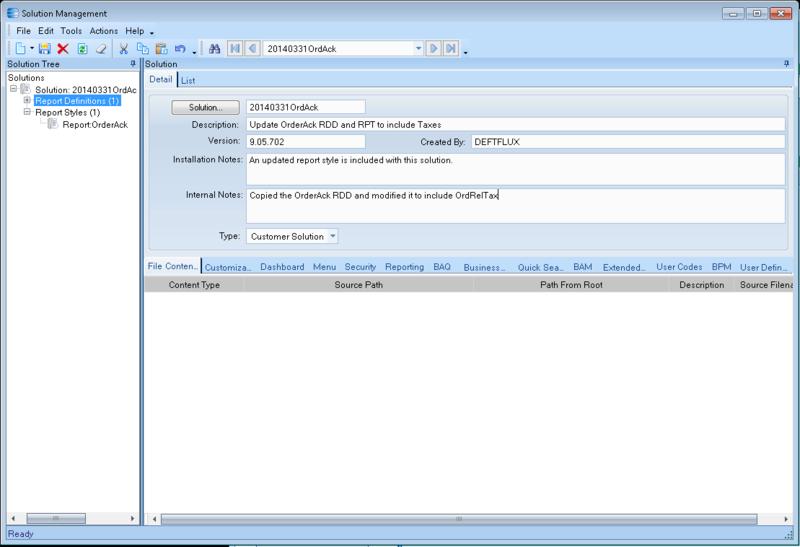 If you want to maintain a history of your solutions, you will need to import your solution definition into LIVE. 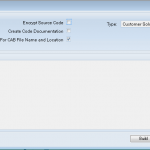 Importing the CAB file does not do this, but the Solution Manager allows you to export the solution definition (SOL File) using the “File >> Export Solution Definition” menu and import it using the “File >> Import Solution Definition” menu. 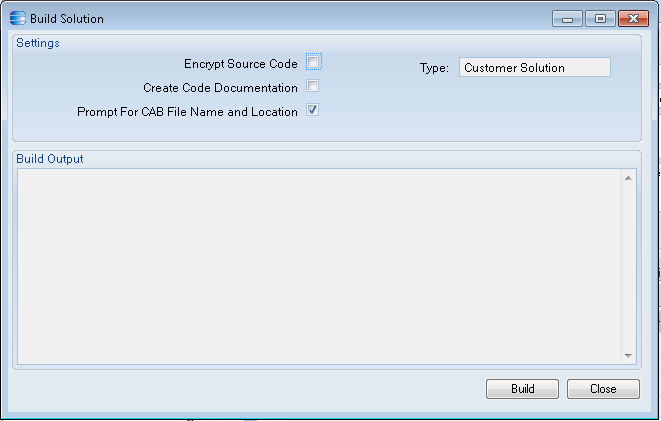 This process is self-explanatory, but if you have created new objects, you do need to import the Solution (CAB file) into LIVE before importing the solution definition (SOL file) so the definition will be able to find your new objects.